It was inevitable to write this list after we posted the top 10 most intelligent dogs. With good comes bad and with smart comes stupid. With every positive quality comes a negative. Yes, this applies to dog breeds, as silly as it may sound. You have probably seen or heard about how smart some dogs are. These dogs are usually the ones that hog up all of the limelight. Mostly everyone wants an intelligent dog that can be trained to do things that most dogs can’t. On the other hand, some people don’t. At the top of the list is the Basset Hound. You can find this breed sporting droopy eyes and long ears that drag on the floor when it walks. These dogs have a very keen sense of smell and can pick up odors most dogs can’t. Though this breed of dog lacks intelligence, they are very gentle dogs and are devoted to their owners. Basset Hounds aren’t the brightest dog in the bunch, but they have great tempers and are great around people. 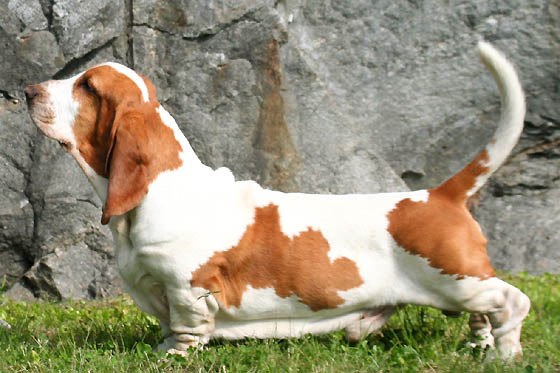 Even though you might be stuck repeating “sit, speak” or other commands to a Basset Hound, this breed of dog is perfect for an owner who is looking for a dog that is well behaved. Another breed of dog that has been proven very challenging to train is the Beagle. Though these dogs are very cute and cuddly, they can easily drive you up the wall, especially when you are trying to train them to do certain things. Beagles can’t be necessarily considered stupid dogs, but they are very independent, which makes training much harder than it is with many other breeds of dog. This breed is always sure to provide its owner love and attention, especially after the long day of learning how to heel. Beagles are generally small to medium sized dogs and are great with children and other breeds of dogs, just not cats. Does bigger breed always mean bigger brain? Not in this case. The Mastiff is one of the biggest dog breeds available, but they have proven to be extremely stubborn. The Mastiff can weigh up to 130lbs. It’s like you have another person living in your home with you! Though they have always been great guard dogs, training a Mastiff to do certain things is most definitely a task at hand. If you plan to train a Mastiff, you want to have previous dog training experience. You also want to be sure that you speak in a kind, soft voice since these big-bodied dogs are a little on the sensitive side. When training a Mastiff, it is important that the sessions are short and sweet. What a name, huh? The Pekingese has proven to be a very difficult dog to train. You might be able to blame it on the fact that these breed of dog has so much hair everywhere. Maybe it’s so hard to train because it can’t see or hear properly because of all of the fur! Though this would be a great excuse for the Pekingese, this breed of dog is simply very independent and dominating. Training a Pekingese can be like training a very stubborn child. In order to successfully train this breed of dog, you have to be firm and you have to be consistent. This is the perfect example of a small dog with a big heart. Though ranging from a small to medium sized dog, the Pekingese has always been a great breed to have as a watch dog. They are extremely loyal to their owners, but stubborn at the same time. And with such tiny legs they need a ramp just to get into your vehicle. This may come as a surprise. The Bloodhound is #6 on the list. If you’ve heard anything about this breed of dog, you have probably heard about how great of a nose it has. Though not the most intelligent dog, I think it’s safe to say that the keen sense of smell this breed of dog has is enough to reconsider its “low” intelligence. The Bloodhound can track any scent that is needs to. Amazingly, these dogs are able to trace and follow a scent trail that is hundreds of hours old. Could your dog’s nose do that? Probably not! When it comes to training the Bloodhound, you need to be firm and be extremely patient. They are independent and determined dogs, so they kind of follow their nose more than they follow your training commands. If you have ever had a pet cat, you can relate to owning a Borzoi. This breed of dog is extremely cat-like, especially when it comes to the independent and free-thinking nature of the dog. Though not an extremely popular dog, many people enjoy this breed because of the affection they bring. The Borzoi can be seen as one of those “stuck-up” dogs. As silly as it sounds, these dogs are generally more concerned about themselves than they are their masters. You can probably find a Borzoi cleaning itself. If you are willing to spend hours upon hours training this type of dog, good luck! Again, this dog, despite its hardships when it comes to learning training commands, is a very loyal dog that is extremely affectionate. No we’re not talking about food. This is another breed of dog that has a personality that is very similar to a cat. The Chow Chow demands attention, especially when there is a new visitor at the home. They are a very jealous breed of dog and like to be at the center of everything. Any owner who has a Chow Chow must be firm and strong-willed. This breed of dog is very dominant and can easily take charge of its owner if the owner isn’t firm enough. Again, this dog isn’t stupid, it has proven to be very hard to train because of the nature and personality of the dog. Remember, stubborn doesn’t mean stupid. In any case, the Chow Chow is a great dog to have around the house to snuggle with. Despite the name, Bulldogs are one of the most gentle and affectionate breed of dog that you will ever come into contact with. The Bulldog is a very courageous dog that sometimes seems to have a mind of its own. Don’t let the name fool you. Yes a Bulldog can guard, control, and bait a bull, but it takes time and patience in order to train a Bulldog to do so. These dogs are very dependable, but it’s getting past the training part that becomes a hassle. Bulldogs are extremely great dogs when it comes to guarding the home. 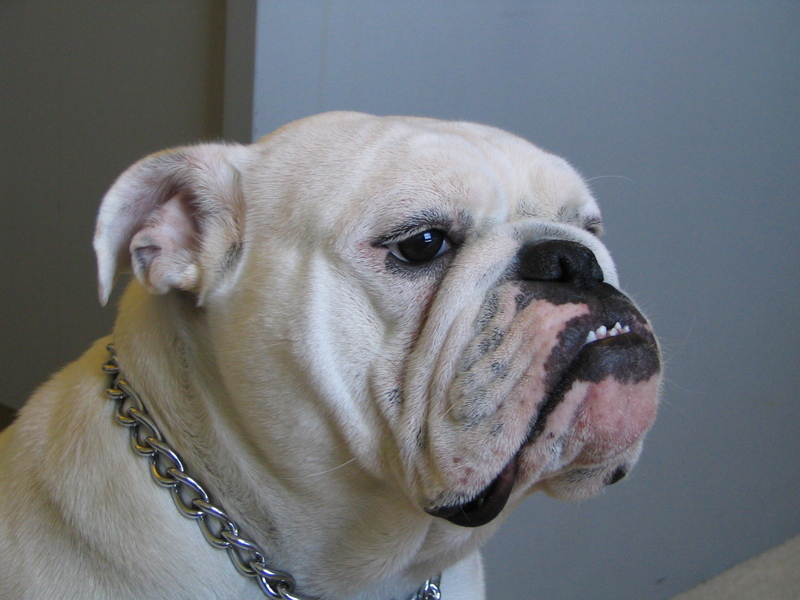 If you’ve ever seen a Bulldog, you’ve probably noticed that its face isn’t the prettiest one around. Who would want to mess with a dog with such a mean face? Bulldogs are very affectionate and time consuming, especially with training. Another not-so-popular dog, but let’s bring it to the spotlight. 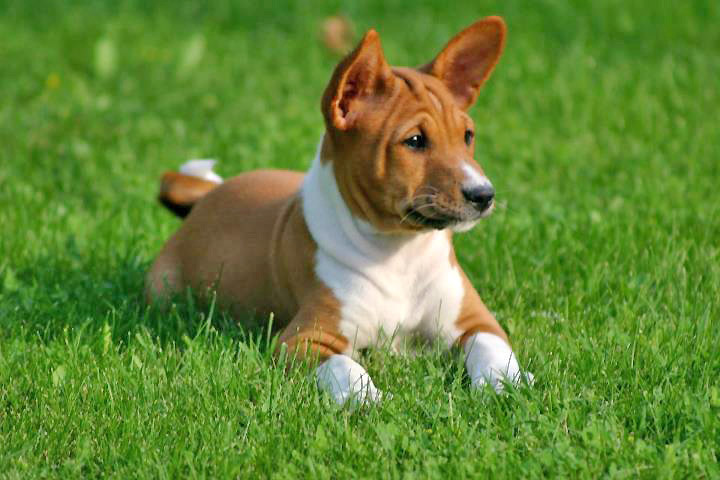 The Basenji is known for its bark. It is so unique in the fact that it sometimes can sound like a human being either laughing or crying. If you’ve ever been around a Basenji, you’ve probably looked around for a baby or a chuckling human. This breed of dog is just another breed that has cat-like characteristics. These dogs can spend hours grooming themselves, much like cats. After grooming, you can probably find a Basenji looking out the window, watching everything outside. These dogs have proven to be very temperamental as well as independent. This is what makes the Basenji a hard breed of dog to train. The Afghan Hound is one of the oldest breeds of dogs known today. They were around during ancient times and their personalities haven’t changed much. They are affectionate and love being around their owners. They are also extremely sensitive and don’t have a high dominance level. Though these dogs aren’t looking to rule above you, they have an extremely low obedience level. You may need to call for your Afghan Hound a few times before it comes back inside of the house. Many say that the personality of the breed makes up for its lack of intelligence. The Afghan Hound has also been said to be cat-like and prefers to be on its own instead of listening to an owner. My English Mastiff does no tricks, he isn’t that smart but that is good. He comes to work 8 hrs day, commutes 3 hrs and does not get bored. He has never torn anything up. Does not try to runaway to discover new stuff.He is mellow and funny. He weights 180 and he is small for a Mastiff, but he is going to live longer. 8yrs old and in top shape, walks 5-6 miles per day split up into 5 walks. Dog intelligence charts are based on ability to learn tricks. Obedience, you might call it. Some hunting dogs fall in the obedient category. Labradors come to mind. Other hunters have the clever, puzzle solving type of intelligence (and they can be very sneaky). The stereotype for bloodhounds is the fox hunt–outsmarting a fox takes more than a sense of smell. 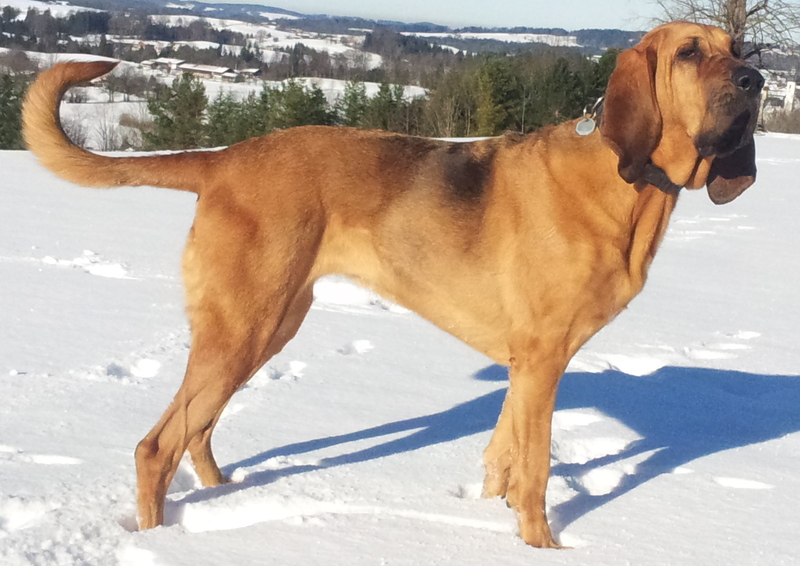 Bloodhounds were bred for larger game. Two or three bloodhounds can bring down a deer, and they make a lot of noise. As the (human) hunter, you just get on your horse and keep up (by listening). That being said, I taught my bloodhound lots of tricks, most of them in a few months when she was one year old. “Sit,” “down,” and (stand) “up,” with voice commands, or with hand signals only, from across the room, from any position to any other. She knows to sit when we come to a doorway, and to stay on her dog bed when I’m cooking or eating, without being told. When I whistle, she comes like a bolt of lightning. She knows “Go that way” (I point), “shake shake” (shake off water or slobber, before I let her in). We are working on “wipe your feet” (because it will be cute). Not much progress on that one yet, but it will happen. “P-p, p-p,” or “hurry up” (very useful. The latter is better in public). Ringing a a bell when she wants out was easy to teach, and useful. She is allowed on two sofas, not on the leather ones, and she knows the difference. She never gets on the ones she isn’t allowed on, not even when no one is around. It would be easy to tell if she did, btw. I’ve specifically taught her not to shake hands. That’s an easy one to teach–natural behavior–but I don’t like dogs pawing at me or my guests. She also knows “pick up your toy.” I’m working on “put your toys away” (different voice inflection). It’s a work in progress. I’m not talking about giving the command and expecting the living room to be cleaned up when I come back, btw. If anyone has a dog that does that, let me know. I find this article completely wrong & clearly done by someone without the proper research . Beagles aren’t dumb dogs in a way ! They’re extremely intelligent dogs , who yes are difficult to train , but they’re not dumb in any way . Once they’re trained they’re devoted , loyal , sweet dogs . In the dog world, stubbornness doesn’t always mean dumb. Siberian Husky so are highly intelligent but vmincredibly independent and stubborn. Many dog trainers will describe huskies as “too intelligent”. Just check out YouTube videos of huskies on hidden cameras when their owners aren’t around. They open doors and refrigerators and put together their own stair systems to get on top of the counters. The most obedient dog are smart, but the most stubborn dogs are quite often the most intelligent. But with that said, obedient dogs exist on both ends of the spectrum of intelligence as do stubborn dogs.